With SEMA 2011 just days away, previews of awesome tuning jobs like this are coming thick and fast. At the Toyota stand next week SEMA goers will have plenty to sink their teeth into and the Long Beach Racers Tacoma is one meaty tuning job set to feature. 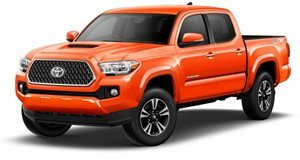 Long Beach Racers are a group of Toyota enthusiasts specializing in racing Toyota trucks in Baja and their project was inspired by the limited edition 2012 Tacoma TRD T/X Baja Series, which is coming in 2012. The truck is to compete in the 2011 Tecate SCORE Baja 1000 and remains in contention for the SCORE Stock Mini class championship. Their take on the Tacoma features a host of modifications including a TIG-welded, SCORE-approved roll cage with their trademark low-profile rear cage design, custom Bilstein race shocks, 16-inch TRD Baja Series wheels, Mastercraft race seats, harnesses and window nets, CMI carbon-fiber skidplates, MBRP exhaust system, TDR Big Brake kit, and a custom wrap incorporating TX Baja Series graphic concept. If you can&apos;t make SEMA 2011 then look out for the Long Beach Racers Tacoma at the Off Road Expo, Supercross, Dew Tour and 2012 SCORE races.